I remember that two simple looking girls with short shirts and Patiala shalwars with straight hair used to sing folk songs, especially ‘Menu Soda Waater Lei Dei Vei Roj Balma Kehndi’ in Uxi Mufti’s show Lok Tamasha from PTV’s Rawalpindi center. It was the early 1970s and TV transmissions back then were in black and white. The two girls clicked as a duo. The pair was of sisters Hameeda Akhtar and Naheed Akhtar. I believe some time later Hameeda entered into wedlock with Uxi Mufti. Both sisters had a nice and clear voice and they were in tune with one another as a natural gift of God; they belonged to Multan. Solo item ‘Roj Balma Kehndi’ was a hit song by Naheed Akhtar for Lok Tamasha. She looked very cute in her youth in this LIVE performance. This series used to be musically directed by legendary folk singer Tufail Niazi. I started hosting a music programme Sangat in 1972-73 from PTV, directed by Rafique Ahmad Warraich: a pop music show where the tunes were Eastern but the music was accompanied by AJAYS Band comprising Western instruments. All the popular and budding vocalists were invited to perform in this show that mostly featured LIVE recordings. We decided to try Naheed Akhtar for this series and she clicked the moment she started singing her songs. We tried to make her look more modern – hair style and dress. At that time, she rubbed shoulders with other singers like Tasawur Khanum, Naheed Niazi, Zahida Sultana, Bilquis Khanum, Nayyara Noor, Humera Chaudhry, Humera Rasool etc, who performed on this show. Later onwards, producer Syed Akhtar Waqar Azim at Pakistan Television Corporation, Lahore Center launched a series with the name Sukhanwar comprising mostly of ghazals. If Fareeda Khanum and Nayyara Noor sang, so did Naheed Akhtar. She had a good throw in her voice. It was sweet to hear her sing at ease on a higher pitch also. Music Director Khalil Ahmad’s tune set on lower pitch in ‘Tum Sei Ulfat Kei Taqqaze Na Nibhaye Jaate’ clicked with her. Another ghazal ‘Jahan Tera Naqsh-e-Qadam Daikhte Hain’ clicked with her voice as well. Naheed was very sensitive about her being taken as a serious singer and apart from the above two ghazals, ‘Kat Bhi Gai Judai Bhi Kab Yei Hua’ by poet Adeem Hashmi composed by Muhsin Raza was a step ahead in fulfilling her desire. Another ghazal, composed much later by M. Ashraf for Munir Niazi’s lyrics ‘Zinda Rahain Tau Kaya Hain Jo Mar Jaein Hum Tau Kaya’ is an evergreen number. The ghazal ‘Shab-e-Ghum Mujh Sei Mil Kar Aise Roi/Mila Ho Jaise Sadiyon Ba’a Koi’ is another heartbreaker. The song talks about sorrow, love, and hopelessness in a way that will make you sit and think for a while. Naheed is a versatile singer with a straight, sweet, and bold voice and a broad range – she justified this in ‘Thaap Tilak Sab Cheeni Re Moh Sei Nainan Milai Kei’ by Ameer Khusrow, rendered initially for PTV. 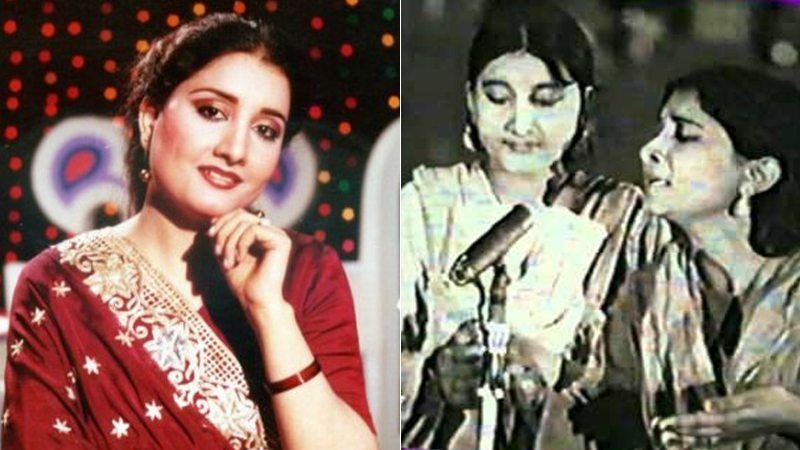 Having started singing for the Pakistani Film Industry much later, her fans remember her for the song that rated her at the top, ‘Kisi Meherbaan Nei Aa Kei Meri Zindigi Saja Di’ from music composer M. Ashraf’s film Shama. One of her songs composed by A. Hameed ‘Tha Yaqeen Keh Aaei Gi Yei Raataan Kabhi’ for the movie Suraiya Bhopali in qawwali format was a popular song of its time. Her song ‘Yei Rangeenie Naubahar Allah Allah Allah’ is a staple in many mehndi occasions. Homage to God, the song describes all the beauty in nature and appreciates His creations and all the wonderful things around us. The song ‘Aaei Mausam Rangeele Suhaane Jiya Na Hi Maane’ originally rendered by Zubeda Khanum for Rasheed Attre’s film Saat Lakh has been revisited by many artists. The essence of this song is that it is a calling out to one’s beloved because the weather demands it. Naheed Akhtar fulfilled this requirement. In the original song Neelo lures the romantic pair Sabiha Khanum and Santosh Kumar to love each other in pink weather. Naheed paid tribute to Zubeda Khanum by singing another hit song ‘Teri Ulfat Main Sanam Dil Nei Buhut Dard Sahe Aur Hum Chup Hi Rahe’. The song ‘Kisi Meherbaan Nei Aa Kar’ is from a high cast (Muhammad Ali, Zeba, Waheed Murad, Nadeem, Deeba, Babra Sharif, Allauddin) film Shama filmed on Zeba playing the piano. Muhammad Ali is sad as Zeba is singing for Waheed Murad. This song depicts the emotions and sprinkled with sadness, it speaks of that one person who comes along in your life and makes it better. This song was a big boost in Naheed’s career. Another song ‘Aise Mausam Main Kyun Chup Ho’ was a lilting song from this film. The song ‘Kuch Boliye Huzoor’ was filmed on Sangeeta for the film Anari while she seduces Nadeem. The song ‘Yei Duniya Rahe Na Rahe Mere Humdum’ from the film Mera Naam Hei Muhabbat, if was a career boost for Babra Sharif and Ghulam Muhaudin, so was it for Naheed Akhtar and Mehdi Hassan as well. The same film had Naheed singing ‘Tujhe Pyar Karte Karte Meri Umr Beet Jaye’. The song ‘Kuch Unki Jafaaon Nei Loota’ composed in qawwali beat from Pakeeza is another lilting number by Naheed. She sang an English song ‘Some Say I Am a Sweetie’ for the film Kora Kaghaz. Naheed Akhtar was born on 26th September 1956 in Pakistan. She has three sisters and four brothers. For playback singing for films she was discovered by veteran musician M. Ashraf as a teenage sensation in the mid-1970s. 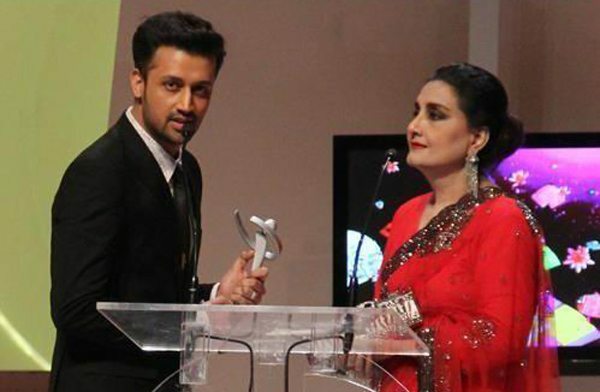 She dominated Urdu film music for a while being a successful replacement for Runa Laila who had left Pakistan. 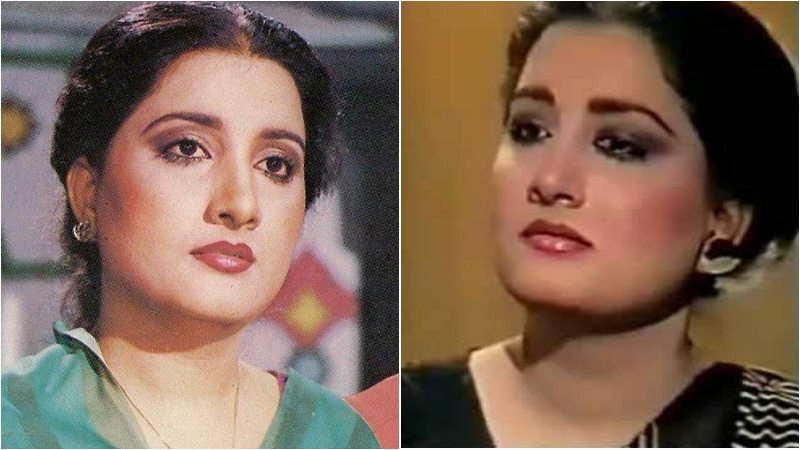 Her inaugural film was Nanha Farishta in 1974 and in the same year she climbed to the top with super hit songs in film Shama (mentioned above). Her stylistic mastery and trade-marked television appearances continued throughout the 1970s. Naheed’s repertoire of songs is very impressive. They range all the way from 1975 to 1992, which were her active years of singing. Some of the songs, apart from those mentioned above are ‘Aaj Ham Donon’, ‘Aaj Ki Shaam Ka’, Aaj Na Socho’, ‘Aaja Meri Bahon Men’, ‘Aandhi Chali To’, ‘Aankhein Jin Ko’, ‘Aap Rooth Jate Hain’, ‘Aati Hai Pawan’ (this song was pictured on Chroma technique in my presence by Rafique Warraich for PTV with a catchy tune by Khalil Ahmad), ‘Ae Harim-e-Gham’, ‘Ae Matwali Badli’, ‘Aesi Chalo Na’, ‘Agli Gali Mein’, ‘Ailo Muk Geya’, ‘Aisa Lagta Hai’, ‘Aisi Chalo Na Chaal Ke Dil Mera Aa Jaye’, ‘Andheron Mein Phansi’, ‘Apna Naam Pata Likh Kar’, ‘Arz-e-Niyaz-e-Ishq’, ‘Barsaat Ka Mausam Hai’, ‘Be Shak Jaanan O’ Dhola’, ‘Be Shak Jana (Kafi)’, ‘Bhaven Hove Laraee’, ‘Bijlee Bhari Hai Mere Ang Ang Mein’, ‘Chalo Ab Se’, ‘Charhti Jawani’, ‘Dear I Love You’, ‘Dekh Kar Usko’, ‘Dekho Dekho Sanam’, Dil Dil-Dil-Dil Sambhaala’, ‘Dil Dil Guitar’, ‘Dil Ka Darwaza Khula’, ‘Dil Mein Aur To Kya’, ‘Dil Na Dena Kabhi’, ‘Dil To Keya Cheez Hai, ‘Dilbar Dilbara’ (from the film Uff Yeh Biwiyaan), ‘Do Nain Kanwal’ (Geet from PTV’s Sukhanwar), ‘Dushmani Hum Se’, ‘Ek Khushboo Ka Jhonka’, ‘Gajray Mehken’, ‘Haaye Ri Qismat (from the film Mohabbat Aik Kahani), ‘Ham Ne Dekha Nahin’, ‘Hamara Parcham Qaumi Parcham’ (a popular PTV motivational song), ‘Hangama Hai Kayoon’, ‘Har Kharab Abad Mein’, ‘Hina Ka Rang’, ‘Ho Jeth Ji Aaj’, ‘Ho Tuhadi Aisi Taisi’, ‘Hum Ashk-E-Gham’, ‘Hum To Is Koochay Mein’, ‘Jaago Jaago Hua Savera’, ‘Jab Bhi Tujhe Dekhoon’, ‘Jab Koi Larka Aur Larki’, ‘Jan-e-Man’, ‘Janoon Mein Shaikh’, ‘Jin Par Mera Dil Dharka Tha’, ‘Kabhi Bindiya Hanse’ (a popular PTV song), ‘Kad Ley Way’, ‘Karye Pyar We’, ‘Kat Hi Gai Jawani’, ‘Kat Hi Gayee Judai’, ‘Kehte Hain Mujhe Miss’, ‘Khiltey Phoolon’, ‘Khirki Se Yun Mat’, ‘Khullam Khulla Pyar’ (with A. Nayyar), ‘Khushi Se Dil’, ‘Koi Mare Ke Jiye’, ‘Kuch Bolen Kuch Irshad’, ‘Kuch Din Se Do Pyase’, ‘Kuch Din Tou Baso’ (also rendered by Bilquis Khanum), ‘Kya Cheez Hai Sharab’, ‘Laal Laal Honton Pe’, ‘Mahkey Hain Yeh’, ‘Main Ho Gayee Dildar Ki, Hone Lagi Chubhan Pyar Ki’, ‘Main To Na Boli’, ‘Man Kabhi Jhoome’, ‘Man Ki Kewarya Kholo’, ‘Mehndi Rachegi Mere Haath’, ‘Mein Teri Mehbooba’, ‘Mera Mehboob Hai Tu’, ‘Mere Hote Huwe Tere Honton Pe’, ‘Mere Mehboob Ka Aaya Hai Mohabbat Nama’, ‘Mere Roothe Sanam’, ‘Meri Saas Hai Meri Saheli’, ‘Mohabbat Bech Dete’, ‘Mujhe Chahe Na Chahe’, ‘Mujhe Prem Ki Baat’, ‘Na Aankhen Hi Barsein’, ‘Naughty Boy’, ‘Needar Ne Kaiyyan’, ‘O’ My Love’, ‘O Re Bhanvre’, ‘O’ Sohne Yaar’, ‘Pakistan Abad Hai’, ‘Pakistan Ko Abad Dekh’, ‘Pal Pal Dekhon’, ‘Paoon Ki Dhool’, ‘Papiha Aaj’, ‘Pehron Aas Na Paas’, ‘Per Kahin Ankh’, ‘Phail Raha Hai Dharkan Dharkan’, ‘Phool Na Mehke Bahar Bina’, ‘Phoolon Ki Kiyari Hai’, ‘Phoolon Ko Hawa Mein’, ‘Phoolon Mein Gulab’, ‘Pighal Rahe They’, ‘Rang Bhari Hai’, ‘Rawaish-e-Husn’, ‘Sab Ki Ho Gayee Nazar’, ‘Sajna Aayenge Doli Laayenge’, ‘Sajna Khuda Kare’, ‘Sanson Men Khushbu Hai’, ‘Sawan Ke Din Aaye Saajna Jhoola Kaun Jhulaye’, ‘Shaoor-e-Mizaj Ki Lajawab’, ‘Sharbat Ke Badle Piladi Sharab Tera Khana Kharab’, ‘Sharmili Aankhon Bolo’, ‘Sheeshy Ki Botal’, ‘Shikar Dopehre Wangan Wala’, ‘Sirf Ishq-o-Tabassum’, ‘Socha Tha Maine Dil Nahin Doongi’, ‘Sun Mere Saajna Phir Tumhare’, ‘Suno Suno Jo’, ‘Tamam Umar Tujhe Zindagi Ka Pyar Mile’, ‘Tarasta Hai Yeh Dil’, ‘Tera Mera Wada’, ‘Tere Khayal Ko Dil’, ‘Tere Mere Mere Tere’, ‘Tere Saath Mulaqaat Aik Raat Ki’, ‘Tere Siva Duniya Mein’, ‘Teri Gali Sei Hum’, ‘Teri Khushi Ke Liye Tera Pyar Chhor Chale’, ‘Too Ney Kaha’, ‘Touch Me If You Can’, ‘Toune Kaha Aa Aa Aa’, ‘Tune Kabhi Bhi Na Kaha’, ‘Wadi Wadi Phool Khile Wadi Wadi Rang Sajay’, ‘Yaqeen Wada Nahin’, ‘Yeh Aaj Mujko Kya Huwa’, ‘Yeh Dil Mein Rehne Wale Dil Se Nahin Nikalte’, ‘You Are Lady Killer’, ‘Zahir Ki Aankh Se’, ‘Zindagi Ke Raaston Pe’, ‘Zindagi Se Mili’ and ‘Zulfan Di Sham’. Music composer M Ashraf and Naheed Akhtar: From Naheed Akhtar’s filmography one can decipher that her active years were from 1974 to 1991. She sang the maximum number of songs for music composer M. Ashraf. The movies in which she sang for him were Nanha Farishta, Phool Mere Gulshan Ka, Shama and Zanjeer in 1974. In 1975 she sang in M. Ashraf’s films Dilruba, Anari, Jab Jab Phool Khile, Bemisaal, Dilnasheen, Soorat Aur Seerat, Naukar, Muhabbat Zindigi Hei, and Arzoo. Movies Phool Aur Sholey, Goonj Uthi Shehnai, Daikha Jaye Ga, Koshish, Diwaar, Kharidaar, Nasheman, Shabana, Insaan Aur Farishta were M. Ashraf’s movies that came out in 1976, in which Naheed Akhtar sang as a playback singer. These were busy years for both the composer and the singer. 1977 started with M. Ashraf’s film Beti and the spree continued with films Dard, Apne Hue Paraye, Sasural, Uff Yei Beewian, Shama-e-Muhabbat and Muhabbat Aik Kahani. In 1978, both worked for films Abhi Tau Main Jawan Hun, Aag Aur Zindigi, Abshaar, Saheli, Mehmaan, Intikhab and Baraat. Films Nazrana, Chalte Chalte, Nai Tehzeeb, Tarana, Miss Hong Kong, Aag, Pakeeza, Khushboo, Do Raaste, Raja Ki Aaei Gi Baraat were films that came out in 1979. In 1980 the team got together for the movies Bandhan – (Urdu Colour), Pyari – (Urdu Colour), Mahal Mere Sapnon Ka – (Urdu Colour), Hum Dono – (Urdu Colour) and Badalte Mausam – (Urdu Colour). In 1981 the movies were Yeh Zamana Aur Hai – (Urdu Colour), Khote Sikkay – (Urdu Colour), Lajawab – (Urdu Colour) and hit film Qurbani. The following years in 1982 and 1983, films released were I love you, and Nadaani – (Urdu Colour), Aik Dujhe Ke Liye – (Urdu Colour). In 1984, movies were Miss Colombo – (Urdu Colour), Naraaz – (Urdu Colour), Direct Hawaldar – (Urdu Colour), Miss Singapore – (Urdu Colour) and Kamyabi. In 1985, both the artists worked together on movies Hong Kong Kei Sholey and Hum Sei Hei Zamana. 1986 started with the film Faisla followed by Zanjeer in the same year. By this time Punjabi films dominated the picture. Other music composers who Naheed sang songs for were A. Hameed, Khalil Ahmad, Nashad, Kamal Ahmad, Nisar Bazmi, Nazir Ali, Tafu Khan, Master Inayat Hussain, Wajahat Attre and sparingly for Karim Shahbuddin, Tassaduq Hussan, M. A. Shad, Wajid Ali Nashaad, Rajab Ali and Master Rafiq Ali. Why Naheed Akhtar left singing: In an interview with BBC, Naheed said that she had taken leave from singing in 1986 as she needed rest; also her meeting with journalist Asif Ali Pota for an interview was a catalyst in accepting his offer for marriage. She got married in 1994. Though Naheed desired to continue singing even after marriage she became busy in raising her children. She claimed that she was always close to her fans who never left her. Wherever she went her fans recognized her and appreciated her music that she did as a full-time job for as long as she sang. About the present state of music in Pakistan she stated that music had instead of acting as fuel for the soul, taken the shape of visuals for the body’s needs. Our present artists should look into the future as to what sort of impressions they are leaving behind. Passion seems to be missing. After 25 years of absence from singing, Naheed Akhtar performed for PTV in Islamabad in 2014 in an evening celebrating her comeback and paying tribute to her lifelong services to music. She sang ‘Allah Hi Allah Kiya Kareo’ (from film Pehchaan, music by Nisar Bazmi), ‘Tum Sei Ulfat Kei Taqqaze Na Nibhaye Jaate’, ‘Tutu Tutu Tu Tara Tara’, ‘Menu Soda Waater Lei Dei Vei Roj Balma Kehndi’, ‘Kalyan Na Jana Saade Naal Naal Chalo G’, ‘Pyar Kabhi Karna Na Kum Mar Jaye Gi Teri Aashi’. All the artists joined her on stage and danced to her songs including Meera, Babra Sharif, Sahir Lodhi, Ghulam Muhuddin, her husband Asif Pota and children. An Indian fan Arup Sarkar commented on social media: ‘I am an Indian. The Partition of India deprived me from listening to these great musicians. I hope to come to Pakistan one day and travel all over. And I am 100% sure one Pakistani will be called ‘Bhai Jaan’ … love you Pakistan. Love, from India?’. Present life: Naheed Akhtar stays busy with her kids and is not actively pursuing a singing career especially after the demise of her husband Asif Ali Pota. Pota started his career as a feature writer and worked with many newspapers. Later, he worked as a writer and director for the TV and Film industry. He passed away on Saturday 8th July, 2017 from cardiac arrest at the age of 55. He has left behind two wives, four sons and two daughters. Published in Daily Times, November 27th 2017.